David Fanshawe's AFRICAN SANCTUS is a unique composition in the choral repertoire, a crossover work that mixes media - voice, instrument, and audio tape - as it mixes styles, cultures and traditions. AFRICAN SANCTUS was born out of a personal odyssey that Fanshawe undertook, beginning in 1969. For over four years he traveled across the African continent, from the Mediterranean to Lake Victoria, from the mountains of West Sudan to the Red Sea. Taking only his rucksack and his stereo tape recorder, Fanshawe developed a close rapport with many of the local tribes and communities he met during his journey, and was often allowed to record their rites and ceremonies. The result was a library of over 1000 tapes representing more than 50 tribes. Fanshawe wanted to interpret this music in his own personal way and so he composed an original piece, conceived along the lines of a traditional Western mass, weaving into it the music, songs and dances he had recorded in Africa. In its evocation of diverse cultures performing in harmony together, it expresses Fanshawe's credo - "One World, One Music." For its 23rd free Wall to Wall music marathon, Symphony Space in New York City will present a 12-hour festival of Irving Berlin, from 11 AM to 11 PM, Saturday March 19. An overview of his entire career will be represented, including his compositions for stage and screen as well as popular song; film clips, roundtable discussions with family and scholars, orchestral segments and cameo appearances will also be featured. At this writing the line-up of performers, speakers and special guests is scheduled to include Mary Cleere Haran, Andrea Marcovicci, Bolcolm & Morris, Margaret Whiting, Steve Ross, Burton Lane, Samuel Goldwyn, Jr., Kitty Carlisle Hart, Judy Kaye, K.T. 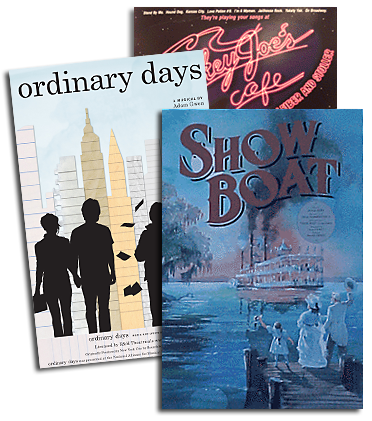 Sullivan, Nancy LaMott, Vince Giordano and the Nighthawks, and stars of the current Broadway season. WALL TO WALL IRVING BERLIN is free and open to the public. For further information call: (212) 864-1414. AFRICAN SANCTUS has enjoyed great success in Europe since its premiere in London in 1972. It has been broadcast on radio, televised in a BBC documentary and a 1975 Philips Classics recording went gold in the U.K. Since the completion of a revised published score in 1977, AFRICAN SANCTUS has been gaining momentum in the choral repertoire and literally hundreds of performances have taken place worldwide including London, Johannesburg, Sydney, Toronto, Washington, D.C. and Los Angeles. A new, definitive recording of AFRICAN SANCTUS will be made in the U.K. this spring, to be released internationally by Silva Screen Records. Featuring the Bournemouth Symphony Chorus, a Ghanaian drum and dancing troupe, and renowned opera singer Wilhelmenia Fernandez (star of the recent London premiere of Hammerstein's CARMEN JONES), the work will be conducted by Neville Creed. Since the beginning of 1993, when the R&H Concert Library became the licensing agent for the Warner/Chappell catalogue, Director Eric Goletz has worked closely with Fanshawe to promote AFRICAN SANCTUS in North America. Preliminary efforts have proven to be very rewarding: typical of the many concerts performed was this comment from Frank Almond, music director of San Diego Master Chorale: "AFRICAN SANCTUS is one of the most electrifying pieces of music we have ever performed; the audience was mesmerized." 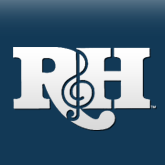 AFRICAN SANCTUS is available for performance from the R&H Concert Library. Materials include full score, orchestra parts, vocal scores, performance tapes in either DAT or 10" open-reel format with African recordings, including test tones and rehearsal cassettes for soloists, pianists and percussionists. For further information please call the R&H Concert Library at (212) 541-6600 or (212) 564-4000.